F.L.A.R.E. or First-Line Aid, Response and Evaluation is Thrive’s second training program, designed to complement the S.P.A.R.K. program in an effort to take a more holistic approach to community development. 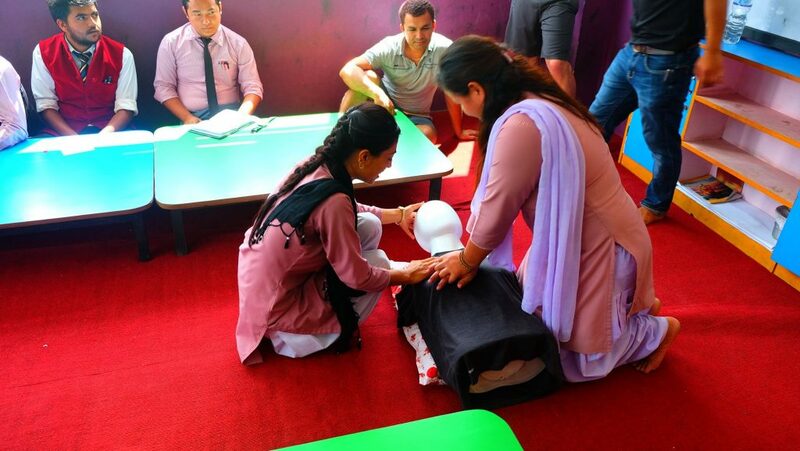 The program was designed in association with Nepali doctors and aims to promote awareness of common community health problems, educate students on how to assess and treat basic illnesses/ailments, stabilize more serious injuries and to create networks to local health facilities. The first students of F.L.A.R.E. were trained in the summer of 2017 in collaboration with the Global Peace Foundation Nepal, Rise Nepal and H.E.A.L. Nepal.